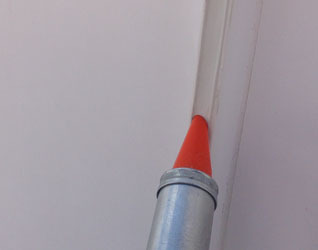 One of the most common maintenance items on a building is caulking. As caulking deteriorates the building begins to leak causing costly damage and a reduction in energy-efficiency. Concrete wall panel joints, control joints, expansion joints, surface-mounted counter flashing joints, metal coping joints and other various caulked intersections and joints require regular inspection and maintenance. Most building owners fail to recognize how essential the maintenance of caulking on their building is. Regularly scheduled inspections should be made to all caulking joints including metal to masonry, metal to metal, metal to glass, masonry to masonry as well as joints with wood on one or both sides.